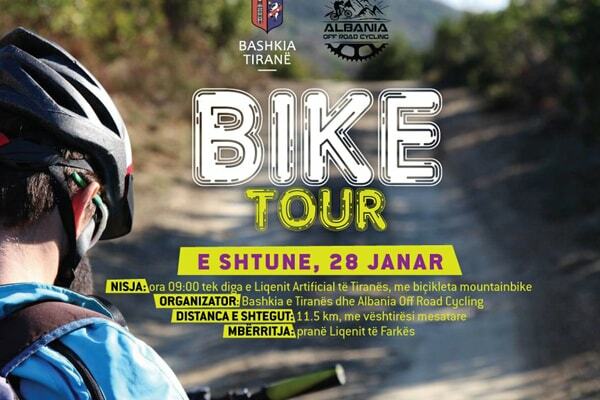 The Municipality of Tirana and “Albania Off Road Cycling” organize a Bike Tour with mountain bikes in two lakes of Tirana. The starting point is from Artificial Lake and the arrival is at Farka Lake. The total distance is 11,5 km, with medium –difficulty. During this tour will have the chance to visit a pottery and see the processing of the ceramic at the “Plaku Pottery” and also a short visit at the winery “Shehi”. For people who don’t ride a bike or don’t own one, they can use a car to join us at the Farka Lake to enjoy picnic with lake view.